Johann Sebastian Bach was a very, very busy Baroque musician. A career player who worked his way up from church organist to Kapellmeister (director of music) for Prince Leopold and Cantor (Musical Head) of the Thomasschule at the Thomaskirche in Leipzig, Bach was, throughout, steadily composing the music for which we know him now. 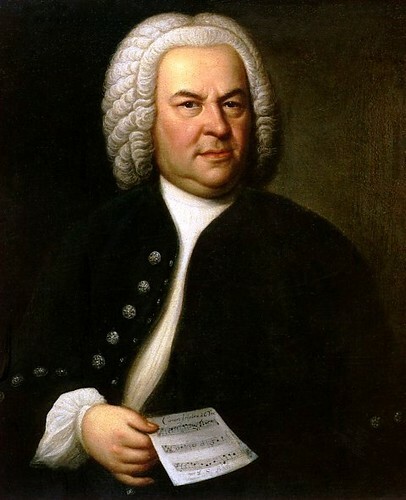 Indeed, his catalogue, the Bach-Werke-Verzeichnis (or BWV) has 1126 entries– not including those deemed to be incomplete (captured in an appendix to the BWV) and those that have been lost (including almost 100 cantatas). They’re pacing themselves to complete the catalogue just in time for the 2021-22 season, in which they’ll celebrate the Society’s first 100 years. Listen, learn– and luxuriate– at All of Bach. As we wonder at the well-tempered, we might recall that it was on this date in 1913 that Le Sacre du printemps (Rite of Spring) premiered in Paris. 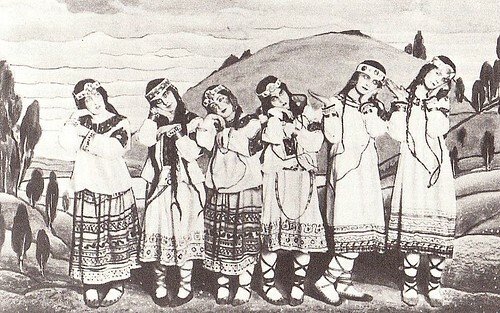 Composed for Sergei Diaghilev’s Ballets Russes by Igor Stravinsky (who’d already had success with Diaghilev on The Firebird and Petrushka), it was choreographed by Nijinsky and designed and costumed by Nicholas Roerich. The performance famously elicited a strong reaction from its audience– an over-packed house– which reacted to the “celebration of pagan rituals” with jeers and whistles so loud that Nijinsky had to climb a chair in the wings to shout instructions to his dancers. But even by the second performance the reaction had died down (though Puccini, who was there, averred that it was “the work of a madman. The public hissed, laughed – and applauded”). Of course today, Le Sacre du printemps sounds altogether familiar to ears raised on film scores; and Stravinsky’s ballet is widely agreed to have paved the way for “modern” (twentieth-century) music.